I did WHAT to my nails?! I'm assuming most of my readers know what purikura is, but just in case there is someone who doesn't here's what in short: the word プリクラ (purikura) comes from the words print club (プリント倶楽部 = purinto kurabu = purikura in short) and basically means photos taken in a photo booth, which you later decorate with different backgrounds, stamps and text, and then print them on a sticker paper. Depending on the machine you pick, they have options that make your eyes look bigger or your legs slimmer and longer. One sheet usually costs about ¥ 400 (about 3 euros) and you can choose different layouts for the printed version, depending how many people you're with, so you get to share the photos with your friends. If you have a japanese email, that way you can get the digital version of the pics to your phone too. I don't, but some of my friends do and that's how I got some of the pictures for myself as well. The rest are scanned. 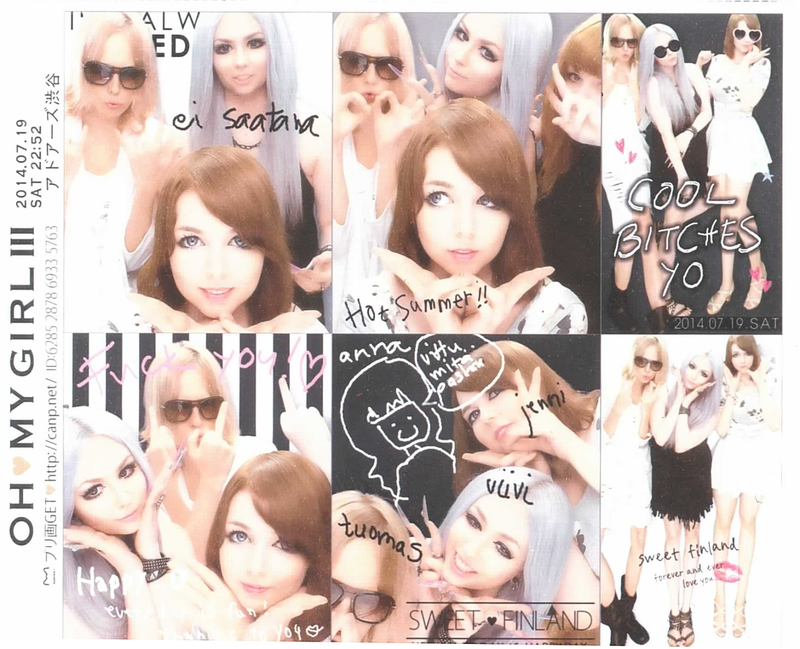 I guess I don't have anything else to say about purikura. These are the puris I took during my trip with different friends and different occassions. It's gonna be pic heavy but I'm sure you'll manage! 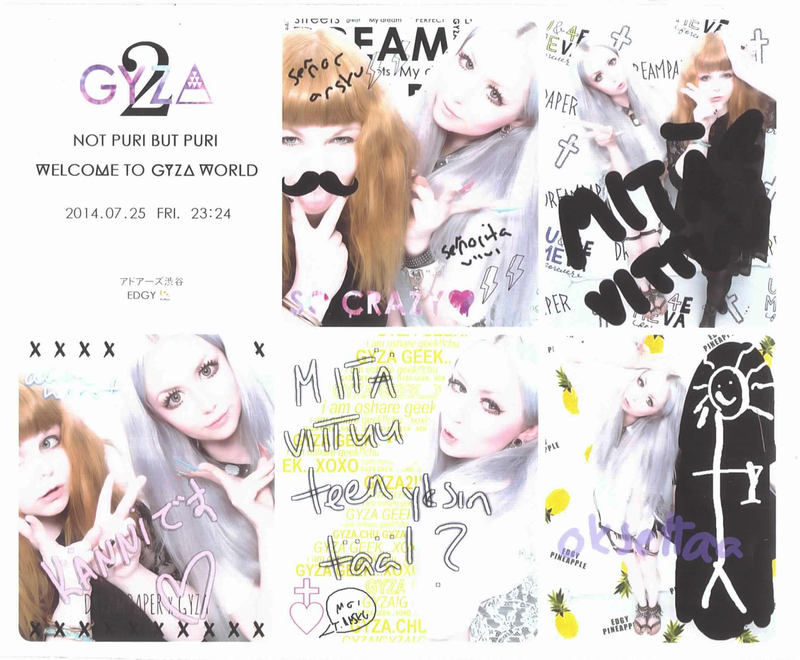 purikura <3 it is always such a nice reminder and so cool to look back with ^^ Really missing tokyo when seeing this! 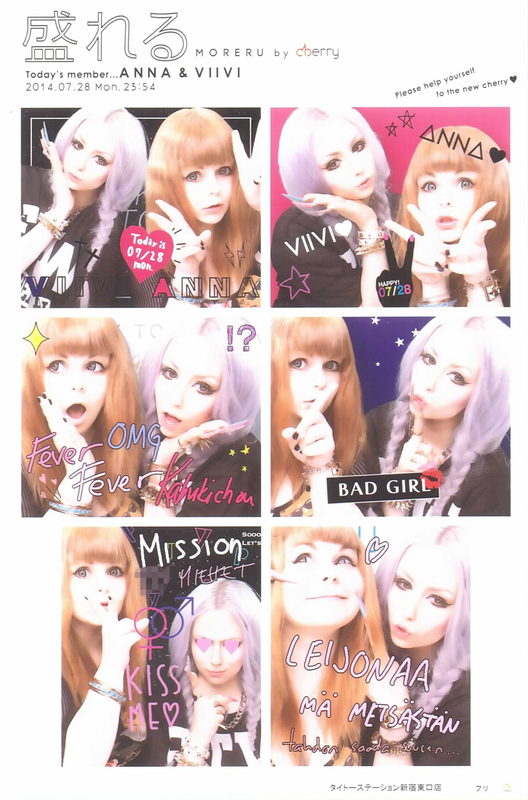 Oh my gosh the Japanese purikura machines are so much better than the one we have in the UK! I'm so jealous~ You look gorgeous in all of them! Wow, so much lot of pictures! I think that the first one with red gravil dress is the best! hahah yeah, this is each and every puri i took during my trip :D decided to dump them all in one post. Heeei, miten sä sait nuo kuvat digimuodossa? Ne koneet kysyy aina jotain docomo.ne.jp tms osotetta, sen jälkeen kun laitoin japsiliittymän pois niin en oo saanu kuvia luuriin snif :c .